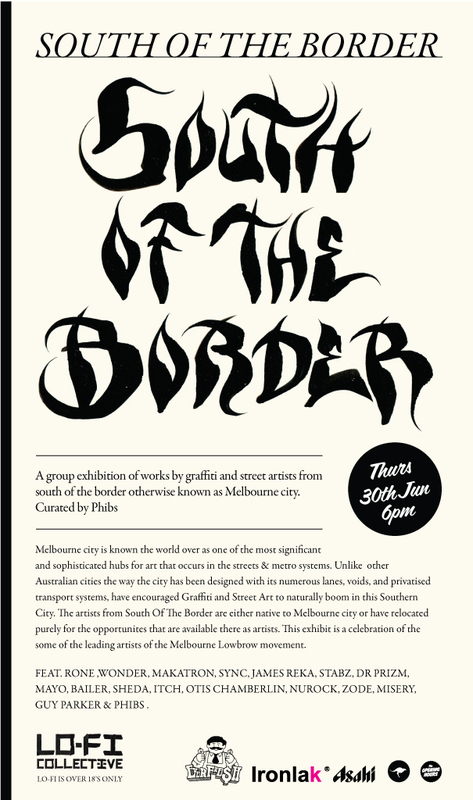 Street artist Phibs sent us this flyer for an upcoming group exhibition he has curated. South of the Border will be held at Lo-Fi Collective at the end of the month. It's basic premise is to wave in Sydney's face that Melbourne is the street art hub of Australia. And it is. So this exhibition is very promising and Acid Midget, as a personified literary metaphor, is excited about it.